Our son, Jerome F. Ressler is buried there since February 8, 1980. He was killed on the Blackthorn on January 28, 1980. 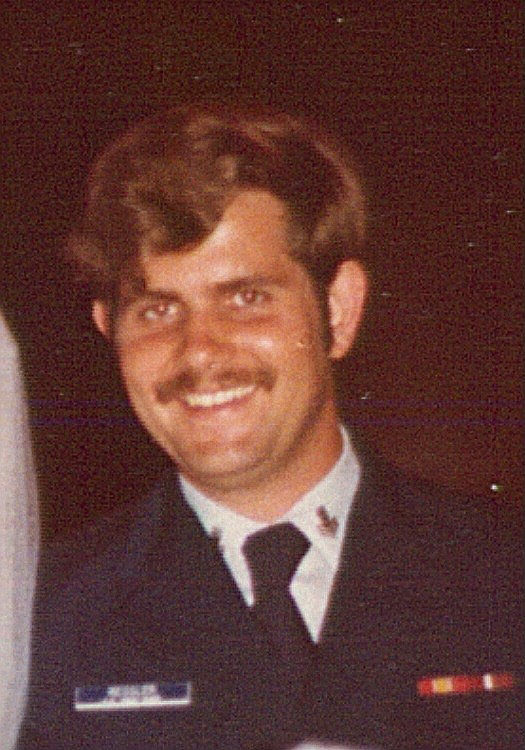 ET1 Jerome F. Ressler was one of the 23 Coastguardsmen killed aboard the CGC BLACKTHORN on January 28, 1980. At about 8:20 P.M. about two miles south of the Sunshine Skyway Bridge, St. Petersburg, Florida, BLACKTHORN collided with Capricon. At that point, Capricorn's 7-ton anchor then become embedded in BLACKTHORN, and when the 990-foot anchor chain pulled taut. Capricorn pulled BLACKTHORN below the water and caused it to capsize. BLACKTHORN sank within 10 minutes in 40 ft. of water. Jerome had been in the Coast Guard for ten years and was planning to make it a career. He was married to Renee Elliott on June 24, 1978. He is the son of Master Sergeant Edgar Ressler (United States Air Force, retired) and Mrs. Ressler of San Antonio, Texas. He is survived by three sisters, Devlynn Tanner, Fairborn, Ohio, Loretta Mays, Lewisville, Texas, and Stephanie Iuliano, San Antonio, Texas. Blackthorn (WLB 391) was built by Marine Iron and Ship Building Corporation Duluth, MN. 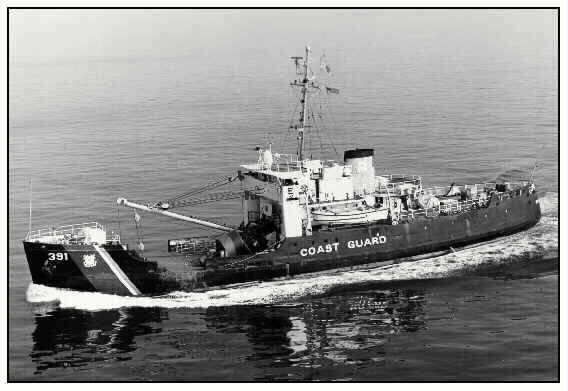 She was 1 of 39 units of the 180-Foot Class The largest class of tenders, to that time, constructed by the US Coast Guard. Blackthorn was laid down 21 May 1943, launched 20 July 1943, and commissioned 27 March 1944. The principal job of a buoy tender is to service aids to navigation. As with all Coast Guard craft, buoy tenders are often diverted to other missions--a fact reflected in Blackthorn's career. During the first few months in service, Blackthorn was used for ice breaking on the Great Lakes. In mid-1944 she was reassigned to San Pedro CA, transiting via the St. Lawrence River and the Panama Canal. Blackthorn operated out of San Pedro, servicing aids to navigation until December 1949. Other duties included salvaging a naval helicopter on 17 November 1948 and assisting distressed craft on 4 July 1949 and 19 October 1949. In early 1950, Blackthorn was reassigned to Mobile Alabama, and transited via the Panama Canal. She serviced aids to navigation there until July 1976. While assigned to Mobile, Blackthorn searched for survivors of Esso Greensboro, which had collided with Esso Suez on 22 April 1951; assisted distressed merchantmen Ocean Pride on 27 July 1951, Kerry Mac on 2 October 1951, Mission Carmel on 27 June 1952, and Beatrice on 16 April 1954. She also assisted Miss Cain Joy on 25 July 1959. On 27-28 August 1952, Blackthorn assisted in the search for survivors of a B-17 crash and on 18-25 February 1953, she searched for survivors of National Airlines Flight 470. Between May and June 1953 Blackthorn recovered the wreckage of the National Airlines plane and in April 1954 she salvaged an Air Force plane. On 8 May 1956 Blackthorn searched for two missing naval PGF aircraft. In October 1957 she assisted her sister ship Iris after she had beached herself after being holed. Blackthorn was reassigned to Galveston, Texas, in 1976. Buoy tenders have traditionally had long careers. Many serving more than 45 years. Aside from routine maintenance, Blackthorn has been modernized throughout her career. In 1968 she received air conditioning improvements in her heating and ventilation, and a new 100kw generator. Blackthorn received an "Austere Renovation’ in 1972. Crew berthing, heads, and the dispensary were renewed plus a new lounge and Pollution Abatement System were added. From 15 October 1979 through late January 1980. Blackthorn was overhauled in Tampa. Having just completed her overhaul, Blackthorn was outward bound from Tampa Bay on the night of 28 January 1980. Meanwhile the tanker Capricorn was standing into the bay. The captain, Lieutenant Commander George Sepel was on the bridge, but Ensign John Ryan had the conn. Having been overtaken by the Russian passenger ship Kazakhstan, Blackthorn continued almost in mid-channel. The brightly lit passenger vessel obscured the ability of the crews of Blackthorn and Capricorn to see each other. Capricorn began to turn left, but this would not allow the ships to pass port-to-port. Unable to make radio contact with the tender, Capricorn’s pilot blew two short whistle blasts to have the ships pass starboard-to-starboard. With the officer of the deck confused in regard to the standard operating procedure, Blackthorn’s Captain issued orders for evasive action. Though a collision was imminent, damage did not figure to be extensive. The problem, however, was that Capricorn’s anchor was ready for letting go. It became imbedded in the tender's hull and ripped open the port side. Just seconds after the slack in the anchor chain became taut, Blackthorn capsized. Six off-duty personnel who had mustered when they heard the collision alarm, were trapped in the dark. Several crew members who had just reported aboard tried to escape and in the process trapped themselves in the engine room. Though 27 crewmen survived the collision, 23 perished. In the end the primary responsibility for the collision was placed with Commander Sepel as he had permitted an inexperienced junior officer to conn the ship in an unfamiliar waterway with heavy traffic. The Commandant of the United States Coast Guard, Admiral John B. Hayes, has approved the report of the marine board of investigation on the collision between the Coast Guard Cutter Blackthorn and the Tankship Capricorn. The collision occurred in Tampa Bay, Florida, on January 28, 1980, resulting in the deaths of 23 Coastguardsmen. The board determined that the cause of the casualty was the failure of both vessels to keep well to that side of the channel which lay on their starboard (right) side. In concurring with the marine board’s determination of the cause, the Commandant emphasized in his "Action" that the failure of the persons in charge of both vessels to ascertain the intentions of the other through the exchange of appropriate whistle signals was the primary contributing cause. Additionally, Admiral Hayes pointed out that attempts to establish a passing agreement by using only radiotelephone communications failed to be an adequate substitute for exchanging proper whistle signals. The collision occurred in the evening of January 28, 1980, near the junction of Mullet Key and Cut "A" Channels approximately three-quarters of a mile from the Sunshine Skyway Bridge in Tampa Bay. The vessels collided nearly head on, and as a result, the port anchor of Capricorn became imbedded in the port side of the Blackthorn. The momentum of the two vessels caused the Capricorn’s anchor chain to become taut which resulted in the capsizing of the Blackthorn. The Capricorn subsequently ran aground north of the channel and the Blackthorn sank in the channel. Twenty-seven of the 50 Blackthorn crewmembers were rescued. The marine board found evidence of violation of various navigation laws on the parts of the master and pilot of the Capricorn. There were similar findings on the part of the commanding officer and officer of the deck of the Blackthorn. These matters were referred to the commanders of the Seventh and Eighth Coast Guard Districts for further investigation and appropriate action. The Commandant also acted on various safety recommendations made by the marine board concerning training and equipment aboard Coast Guard vessels, and navigation considerations in Tampa Bay.